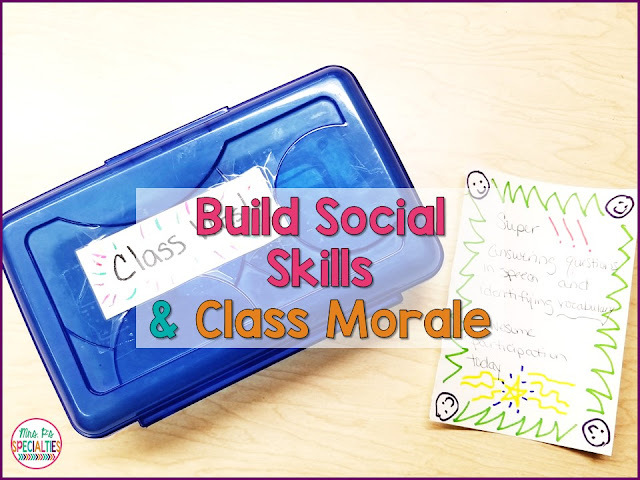 Build Social Skills & Class Morale | Mrs. P's Specialties! 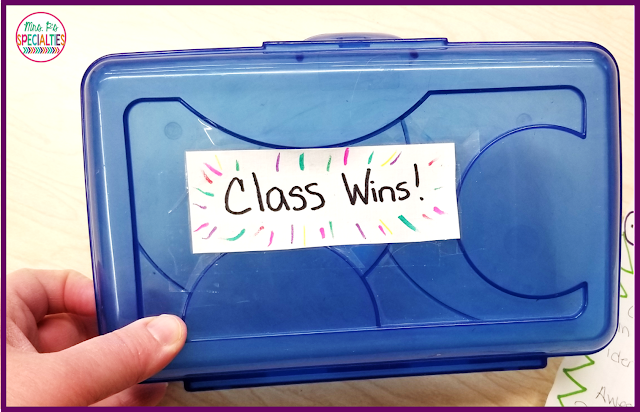 Class wins is a box full of notes that are written mostly by students to other students highlighting something good about a peer. I challenged all of my students to write at least one class win note for another student each day. During the last 5 minutes of the day, we sit together and I read each note aloud. We clap and cheer for the students who got a note individually. While we have seen this be so beneficial for students, we have had a TON of positive feedback from parents and families. They love seeing the pride on their child's face and reading positive note after positive note! First, decide on the container you will be using to hold the class wins notes throughout the day. You can make it as fancy or plain as you want. I just used a box we already had and put a fun, handwritten label in on. Stack some paper next to it for people to write notes and you are all set to go! 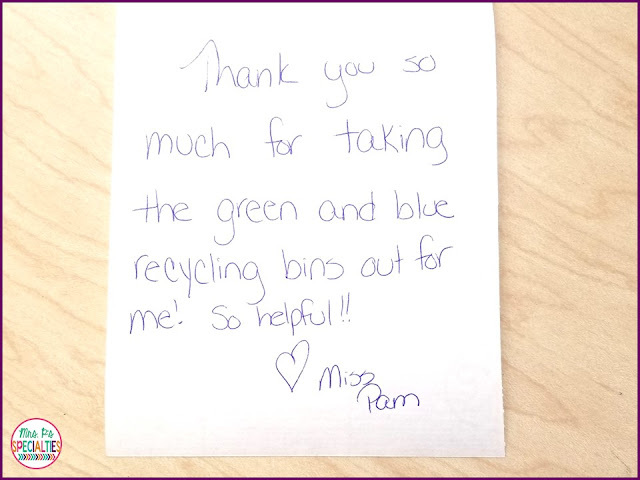 I also challenged therapists to write at least one win for every day they worked with my students. I wanted to make sure students realized my classroom wasn't the only place they are a winner! Remind staff that all notes have to be printed (no cursive) because we want students to be able to read the notes. Remind staff and students to be specific in their notes. "Good job today." isn't nearly as encouraging as, "Wow! You did such a good job reading to your buddy today!!" Don't turn this into a writing or spelling task. Paying attention to others is the goal. If you also turn this into a writing lesson, it will be too much and students will write less notes. I allow sound spelling as long as students & staff can still read it. We also allow students to dictate the note for staff to write and draw pictures. 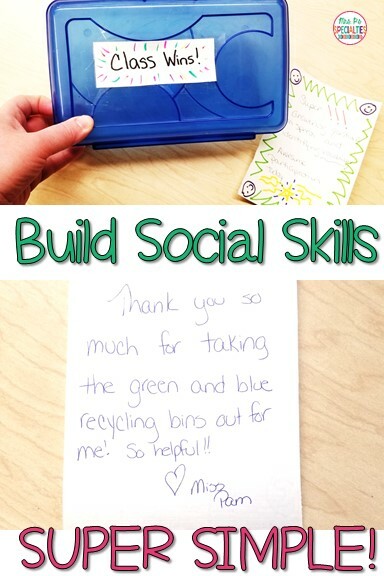 I hope this simple, but effective idea is as successful in your classroom as it is in mine! Make sure you pin the image below to be able to refer back to the post and SHARE with fellow professionals. So, you send the notes home with the students after reading them? I leave it up to the students. They can keep them at school or take them home. Most of my students choose to take them home.